It's been quite some time since I considered creating one of these but I see it as some sort of commitment and I didn't feel ready yet. I'm 33 year old. I started go in 2004 and reached 1d EGF in 2010. I became much less serious about go in 2011 when I moved to a city with no go club and I got a bit burned out. I didn't give up on go but serious games have been rare and weeks without a single game more common. I see at least two reasons for my "comeback". The rise of strong bots makes it easier to review my games (since leela 11 last summer) since I have no player around to review with. Several players I've known from before who were around my level or slightly weaker in 2011 have risen to 2d/3d/4d and I wonder if at my age I still have what it takes to catch up to them. - Finding a way to play slower. I've always played fast but playing many mindless games since 2011 has only made things worse. - Doing problems regularly. I have all the material and I've done problems in the past, but often in huge burst. I want to do less problems per sessions, but more often. - Playing more agressively. I like gote moves. I see my stones weakness way more than my opponent's stones weakness. I heard about the Fox go server when alphago master played some games there. I made a account in spring last year to give it a try. Sadly, I made the mistake to set my rank at 5k so I could fully deserve making it to the dan ranks but I underestimated how many games it would take. Fast forward to October, I'm now 4d there with a great winrate which I think is making it harder for me to find games. Games are not easy anymore and I stopped playing with a 13-6 record, one win away to promote to 5d. ~10 days ago I finally decided to play to hopefully promote. A couple hours later I had played 4 games and lost all of them . Overall I was satisfied with my attitude in these games but my play wasn't sharp at all. I went on vacation last week and played some more games since I came back last weekend. Results were better this time as I won five and lost only one. In most of them I screwed up the first corner "joseki" and fell behind for quite some time. Eventually mistakes were made from both sides but I managed to turn them around. At least getting behind so early gave me a good chance to play more actively than usual. Below is one of the wins after the first corner didn't go too well. I played another game today, the first since last post. I was sort of watching TV at the same time so focus wasn't great, but the review will help me, as I'm usually not so comfortable with dealing with this sort of moyo. I'm away from home and can only use my old laptop to check with Leela. I added some comments to the game record. - Finding a way to play slower. I would not consider 30 seconds per move slow. 30s/move is blitz for me. The US Open's 90-min. initial time for each person is nice, for me. so naturally you, like 'most' people I observe, enjoy faster time settings. I haven't played on IGS in a long time, maybe 10 years, but I have played almost 1000 games on the server in the past. I quit because I didn't enjoy the playstyle as much as other servers. From what I witnessed from streamers, the playstyle hasn't changed that much. - Online play: the temptation to do other stuff while I play is often huge and I usually don't resist. It's not really a playing too fast thing, but a focus issue. I don't devote my whole energy to the game and blunders happen. I've been able to focus while playing online in the past especially when playing leagues or taking lessons. I suspect ranking up on fox would really help as I would have a hard time winning while not being 100% careful. Being more serious about studying will help as well. - Offline play: Playing face to face has been rare since 2011. Focus when playing tournament games has never been a problem. On the other hand, out of around 200 rated games, I only remember entering overtime twice. In my last tournament, I didn't use more than 20 minutes out of the 60 minutes main time. At my current strength, I don't think I would gain anything if agonizing over my moves for a long time, but I have regretted a lot of moves played in under 10 seconds, that would have been much better if I had spent 30 seconds instead. I mentionned in my first entry that I might join a tournament in November. The website is now up. I registered and booked a room so I'm commited now. Incidentally, the venue is in the same street where I lived from 2005 to 2010. They haven't really advertized for it yet for I hope we'll see some high dan players there. I played a few more games on Fox since the last entry. Here is one I played today. - after move 42, LZ thinks E10 is important for both of us. Whenever there was somewhat of a pause in the topside fight, it should probably be played. Eventually black got it at move 75. - for move 64 I didn't want to connect because I have afraid it was too passive but I ended up playing a lot more moves on neutral points in this area instead and eventually I connected (move 98) anyways. LZ really wants me connect from the start. - I wasn't very optimistic after black 87 but actually the position is overall still good for white until move 108 whose location (and timing?) was terrible. After that black tried really hard to die when he should live but it wasn't enough to throw the game. I haven't done many problems this week but I bought Robert Jasiek's book on endgame values which started some heated discussion. So far I've read about 50 pages (~20% of the book total). I'll probably post more about it later today or tomorrow. I said I would write more about reading The endgame2 over the weekend but yesterday I still wasn't sure what to say about it. My opening is average, for my level. I started reading theory books and replaying progames very early, so it's natural that my opening is very "textbook". It avoids some terrible mistakes I can see when I play online. On a downside, I lack creativity, which is hard to work on. My taste for gote moves also hurts, but this can be corrected. My middlegame is my weakness. My reading used to be weak but nowadays I think it is correct. My judgement isn't great and it's too emotionally driven: I see my ennemy groups as stronger than they actually are and my groups as weaker than they actually are. My opponent can invade in places I'd be scared to invade. I don't know what to do to change that. Do some of you, when wondering what to play, ask themself "what would I suggest if I was reviewing this game for someone else?" ? Obviously it means that my endgame is a strong point. It doesn't require as much creativity as the opening. I don't need to judge if my groups are weak or strong but if they are dead or alive, so emotions are not involved anymore. I don't know that much about the tesuji or the theory but I'm doing a better job of paying attention to connections, liberties, life and death and values of easily calculated moves. I don't outplay my opponent, but overall I make less mistakes. - a tesuji book, which unfortunatly is at my parents' place and I couldn't find it on sensei's library. It has 200 problems and a light blue cover. Author is Japanese. I got it when I was much weaker (weak SDK?) and I haven't touched it in forever. I recall the problems being fairly easy. - the endgame, by Ogawa and Davies. Also a book I bought when I was much weaker, though I've been through it several times. Its content pretty much sums up my knowledge of endgame theory. - Yose, by Motoki Noguchi and Dai Junfu. Structure and content is quite similar to the previous book. Tone is a bit lighter and I like the examples more. Many of them cover very common shapes so if you want to simply memorize the value of some moves you'll be sure to meet them in your games. I got it when it was released in 2014. - get strong at the endgame, a collection of problems. Some problems are only about one local positions, but some of them are small boards position where you have to read the end of the game. I got it for Christmas last year and I enjoyed it a lot. So now there is the endgame 2 - values, to add to the list. Seeing Bill Spight talking about miai values has often caught my interest but I never took the time to carefully read the pages about it on sensei's library. Robert Jasiek's book seemed like a good timing. In this era of strong IA, our vision of the opening and middlegame has changed a lot and it's not about to end. The endgame though, was left alone in the craze, and it's probably a good time to study it. So far, I learned things about counting moves and positions, but I haven't read the chapter about miai counting yet. It feels awkward so far, because some of the problems in the book are taking me much more time using the method described rather than going back to deiri values. As a math teacher (but I wouldn't call myself a mathematician), I think I would have structured the beginning of the book differently as I find it hard to keep tracks of clear definitions. On the other hand, I truely enjoy the examples so far. You have some for each new point, with a lot of diagrams and explanations. My middlegame is my weakness. My reading used to be weak but nowadays I think it is correct. My judgement isn't great and it's too emotionally driven: I see my ennemy groups as stronger than they actually are and my groups as weaker than they actually are. My opponent can invade in places I'd be scared to invade. I don't know what to do to change that. Do some of you, when wondering what to play, ask themself "what would I suggest if I was reviewing this game for someone else?"? You are stronger than me so I am wary of offering advice, but what has helped for me in similar circumstances is instead of thinking "What do I think is the best move? ", to think "If I were playing the other color, what move would I be most afraid of seeing?" It may not be the optimal strategy but it is good for getting out of a passive rut. And it often leads to pretty fun games. I got back to work last week so it was an exhausting week. I didn't do problems, and mostly looked at videos from the yunguseng dojang. I highly recommend it to everyone who can afford the money. I found the energy to play the game below yesterday. It was an account with over 24 000 games played so I think it's the kind of account shared in Internet cafés and I wasn't sure what to expect. LZ/ELF think overall I was in the lead almost all the time but I didn't feel like it. Move 24 feels natural in my human eyes but bots disagree and think I should answer at S12 which feels submissive. At move 32 I was afraid that turning at P11 would not be sente and black would use it to defend his right side group. Move 33 at Q8 would make things very difficult for white but we both missed it. Move 73 is labelled as the biggest mistake in the game. Already for move 57 is was important to play around the top side but at least the sequence in the bottom right was mostly sente. 73 wasn definitly not needed though. Hurray for me not defending in gote. After that the lower side became huge but bots seem not to care, even before I secured the right side. Bots thought the situation was dangerous for me after some point (move 146? I don't remember exactly) if black peeps at L14 and cuts. It was easier to handle before black played too many stones in the area. I eventually won by time but it would have been a 3.5/4.5 win depending on the ko. I complained about being tired last week but this week wasn't any better. I was in bed before 9:30 three times which is highly unusual. I didn't play this week but hopefully next week will be better (he can't get worse...). I watched some more lectures from the yunguseng dojang and I found the time and energy to do problems on several occasions. I wanted to ask about tsumego books today. I started yet another run of graded go problems for dan players volume 1. I bought it in 2011 and I've done the problems at least once per year ever since. Overall I like it but I'm getting very used to most of the book. It's probably time to expand to another book. Here are some books I own but haven't really spent time on, I'm happy to hear you opinion if you have them. - essential life and death volume 3 and 4. Probably easy for my level. - speed baduk level volumes 10, 11 and 12. I did some of the early problems and they also looked rather easy. - graded go problems for dan players volume 2. The early problems look rough and I know it won't get better. Nobody has replied to this latest comment yet so I'll give it a shot even though I am significantly weaker than you. I really like the Essential Life & Death books because they're comprehensive and because they seem to concentrate more on techniques and situations that come up in actual games as opposed to tsumego. If they're easy, you'll get through them fast and can move on to something else! I bet that even if they're easy you'll discover a few holes in your pattern dictionary, though. I'm currently on Speed Baduk 12 and have been sailing through them except for the life and death problems. As with Essential Life & Death, they seem to have more realistic diagrams than many tsumego problems. If you have the books already, it might be worth going through them, maybe mostly for speed training. I know that Kirby is a big fan of Train Like A Pro. As you may be aware, Train Like A Pro is really Speed Baduk 16 and 17. So if you can easily get your hands on volumes 13-15, they might be a good bridge. It's been two weeks since my last entry but I didn't have much to add. Sorry dfan for not answering earlier. I don't think you being weaker makes your comments about the books any less valid. I finished graded go problems for dan players volume 1 and started speed baduk volume 10 based on your comments. The life and death problems are much harder than the opening or shape problems. I don't remember any other problem book with ladder problems, and I realized how terrible I am at reading them . I didn't now about train like a pro being speed baduk 16 and 17. I think Kirby and I are about the same level, so he thinks he gets great value how of these books then I should give them a chance. I didn't get any other answer but I thought I'd share my opinion about some other problem books I have. 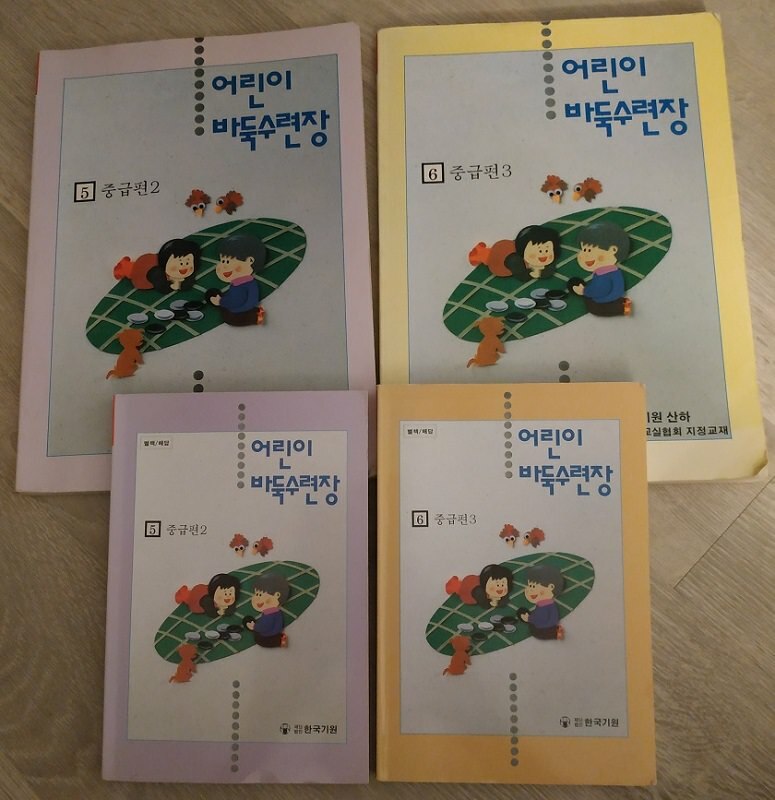 The quite famous LeeChangho series. I got them a long time ago and did the easier volumes many times. Problems are fine, and the difficulty is well balanced. I don't remember if I actually did the harder volume, as I was too weak at the time. As you can see, the red book is much more used than the other two. I spent quite some time on it when I was around 5k and I still do some once in a while. I like them a lot, though they've become a bit too easy. 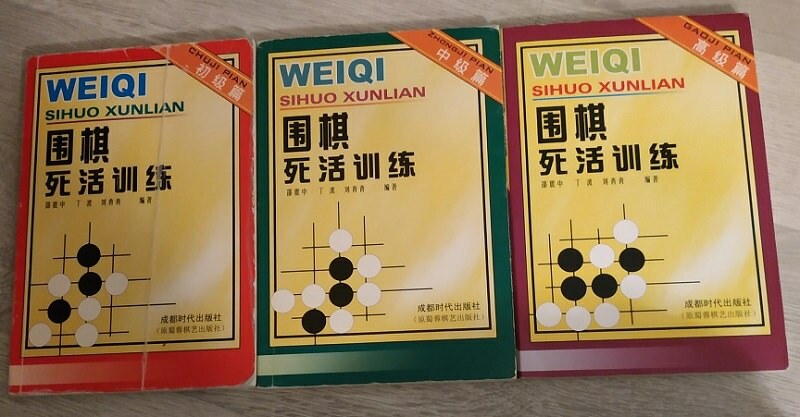 FromTchan001's blog, I saw the red one is the beginner volume and the other two are intermediate and advanced. I should give the intermediate volume a chance, as I've gotten stronger. The advanced one I may very well never use. French players probably know this book. It starts from rather easy problems and slowly moves up to harder ones. 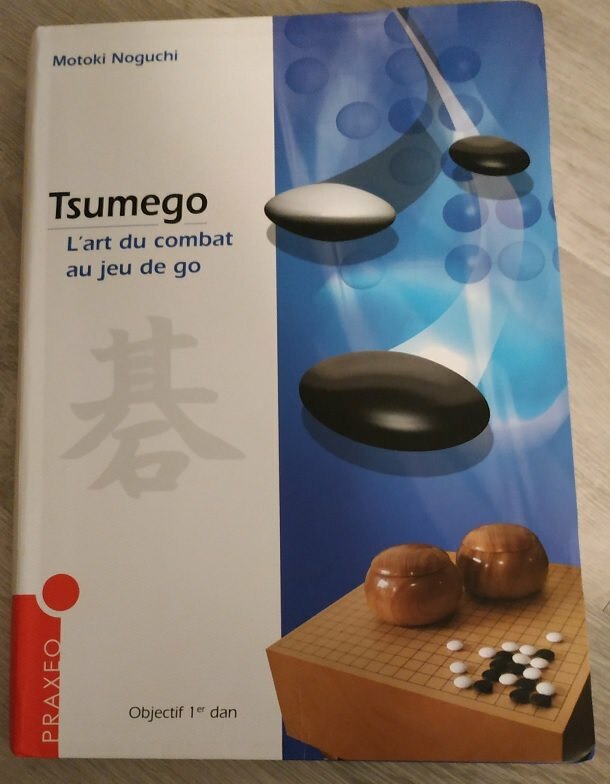 I would advice this book for mid kyu players who can speak French. Most problems become too easy for stronger players. You don't need to speak French to understand the answer but the writing is unsual: it's a conversation between a player and his teacher. The quality of printing from this editor is very good. I got those in 2007 so around mid kyu level. They are very in my opinion. I've done volume 5 many times, but I think I think I did the whole volume 6 only once. I do the early problems from volume 6 from time to time and I find them harder than graded go problems for dan players volume 1. Like the speed baduk series, it has opening problem which are much easier than the life and death problems. When looking at these books and the speed baduk books, I feel like they require extra attention to liberties. Maybe it's just a feeling and not actually true, but many of them are sort of blind spots for me because they involve some damezumari. A Chinese version of the Segoe tesuji dictionnary. Problems are graded with A (hard), B or C. The level difference between A and C is big. I can manage the B (mostly) and C problems but the A problems look scary (asnwers with 20+ moves are the norm). Very good books overall. Typying this, I realize I should go over these books once again. If some of you are interested in seeing some of the problems, I don't mind sharing a few. Besides problems, over the last two weeks, I watched some more lectures from the yunguseng dojang. I saw one about the "joseki" discussed in this thread. There were some discussion about the life and death or the group when the hanging connection is played, not mentionned on this board. The recent thread about move values made me read the first chapter from Endgame values again with a new eye. Now the definitions are making a lot more sense. Still, the book is very time consuming and right now isn't the best time for me to finish it. After my last game posted here I had not played a single game. I was in the same position I was since last October to last month: one win away to promote to 5d. Anxiety came up, though I had four chances this time. I found the energy and courage to play this afternoon. Lost my first game, I think I was in the lead but I had a terrible misread and finally lost a good game. Started a second one right after and somehow managed to win it. I haven't reviewed them with LZ yet. I'll upload the games with some comments once it's done. Here are the games from yesterday. I used Leela Zero #181 to review. This is the game I lost. I'm satisfied with my play overall, though I missed a few killing opportunities. This is the game I won. Despite the result, it didn't feel as satisfying. I sacrificed many stones and still had enough territory, but these sacrifices didn't feel like my choice, but reading mistakes or poor judgement from my opponent. For once, I used more time than my opponents and a few times I wished I wasn't in byo yomi. Just a quick updade before heading to the tournament tomorrow morning. I haven't posted in a month but I didn't have much to say. I finished Endgame values and I enjoyed it overall. I'm not sure how to use it in my own games though. I should post a review someday and discuss how people choose moves in th endgame. 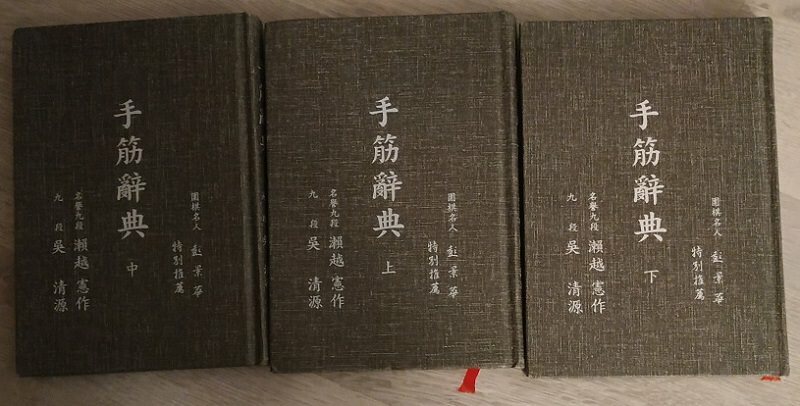 I then spent some time reading (again) the early parts of Kamakura (about the Kitani/Go Seigen jubango) and Relentless (about the Gu Li/Lee Sedol jubango). The main reason I haven't posted before is that I waited until today to play my first game of the month. That wasn't anxiety, I simply was't in the mood and I didn't want to force myself before the tournament. I'm not sure what to expect tomorrow. I can't say my play will be sharp given how little I've played but I kept doing problems so I don't feel out of shape either. I'll have my computer with me so I'll try to upload the games tomorrow evening. I played my first two games this afternoon. I'm not used to remember my games anymore. The game records are far from the end of the game. First round was against a 2 kyu player with no komi. We used to play in the same club, but he was around 6~8 kyu when we both left the club in 2011. In the meantime, he improved much more than I did. I felt confident during the early game. Move 19 was a big misread which put me in the lead. Cutting with 62 gave me a lot of points but I lost control of the game in the process. Eventually my left side group struggled to make life. I only found a ko to live, but I had many local threats. He misread a threat and let me win the ko for free. The game was pretty much over after that. Second round was an even game aginst a 3d, which I've already face several times in tournaments. He likes territory a lot and he's very good in the endgame. I usually end up with a lot of influence which I don't know how to use. Today was no exception. We both thought the result up to 40 was terrible for white (me), but LZ seems to disagree and consider the game about even. I'm unsure about move 76 being the move I actually played in the game, but LZ sees it as the losing (?) move so that's problematic. I'll ask my opponent tomorrow to ask if he remembers. I'll have to spend some more time reviewing this game when I'm home as I'm very surprised by LZ's opinion overall. Later in the game I attached at G2 and somehow saved E3 in sente. C15 also lived on the side but my opponent made a lot of territory around F13 at the same time. I eventually lost by 1.5 points but I was satisfied by my efforts to try and turn the game around after what felt like disaster. The Confucius cup finished yesterday but I was so busy there I didn't take the time to upload my games. Third round was against Louis Dumont 3d, which I had never met yet. I was a bit behind in the middlegame and I overlooked a ton a stuff in the endgame so I lost by around 20 eventually. That's the kind of game I need to play more, as I feel I lack tournament experience against players of that caliber. Fourth round was against the tournament referee Rémi Vannier 2d, who was in the mood to play a game. We had never played before. It was a tense game. I had some weakness but he missed a move and died. Weakness were suddenly gone and the game was pretty much over after that. Fifth round was against Dominique Cornuejols, 1/2d. She's been playing for a very long time. I think she was already dan level when I was born. We had played once before in 2009. She got a lot of outside thickness in the early moves, though she had to make use of it. We both missed a lot of opportunies when she attacked one of my groups. In the end I lived and she didn't get much in the process so the game was good for me. She was disheartened and I felt like fighting spirit wasn't there anymore during the endgame. I skipped round 6 to get some rest and take a look at the live commentary (did some of you see it on twitch?). I didn't play round 7 because I had to go home. I'll analyse my games with LZ some more before posting about some positions I spent time reviewing with my opponents. I picked at LZ during the weekend and overall there were many times where she disagreed about our judgement. I will also post about my overall feelings about went well during the tournaments and what needs some more work. - The social experience was great. I was very happy to see old club members/local players I had not seen in almost 10 years. - Having lunch outside on Thursday, Friday and Saturday didn't turn out to be a great idea. November in Brittany is not that hot. I caught a cold and I don't feel too well since Monday. - Getting paired with 4 players of stronger or similar strength was great. I don't that that opportunity in most tournaments. - I am overall very satisfied by my attitude during the games. When I started the journal, I wanted to use my time more and play less passive. I used 45 to 60 minutes per game, out of the 1h15 we had, which is quite slow for me. I played some moves I don't think I would have had the courage to play some years ago. Some of them were bad moves, but some of them made it hard for my opponent, while I would compromise in the past. - I felt like only one of my opponent had better reading but I had a lot of embarassing and unusual reading mistakes. - My positional judgement was bad, as usual. - My endgame wasn't great, that was unusual. - I will do so iniation at my school (hopefully next month) and talked about it with other players. - Results were published on Wednesday and I'm rated 2d for the first time.